I have been lost in my day job. The past six months have been rather immersive for me. Due to changes in my medical practice, I have been unable to work on my upcoming books, social media, publishing, etc. It’s been tough. I have received some very encouraging emails from those of you who have purchased “The 10th Demon: Children of the Bloodstone”. I am working on expanding my publishing offerings. And, I hope to have an official book launch here in Shreveport for “The 10th Demon” sometime in June — only six months late! Just to give you an update on my writing. 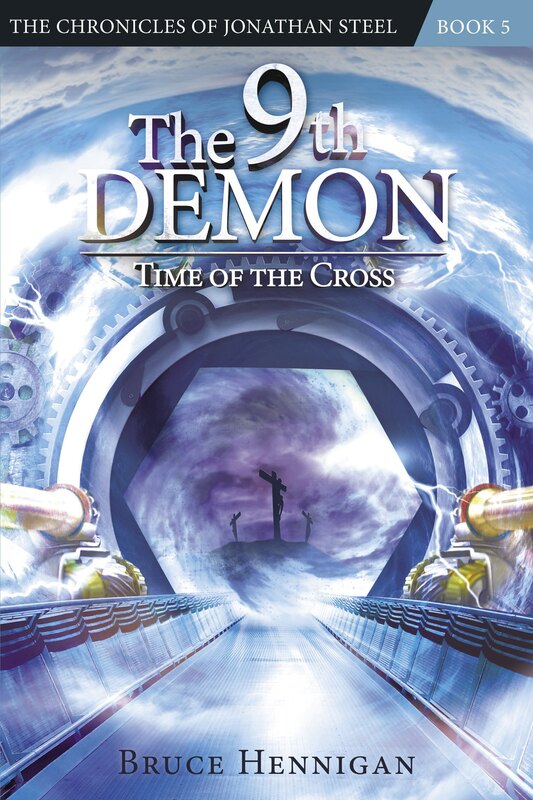 I am half way through “The 9th Demon: A Wicked Numinosity” and, honestly, the story I had planned for this book would not have worked without recent advances in nanotechnology and virtual reality. I started the book about seven years ago but only in recent months has new technology allowed me to make the story believable and possible in our world. Ruth Branson is a junior partner in a major law firm in Dallas, Texas. Bryan Nicholas and Ruth are up for the same position as full partner. When a prominent scientist is brutally murdered, Ruth is given the impossible task of defending the murderer, Dr. Frank Miller. Nicholas must prosecute. Whoever wins the case becomes the next partner. The problem is Dr. Miller was caught red handed holding the claw of a recreation of the dinosaur “Annieraptor” after ripping the heart out of his boss, Dr. Wallace Darwyn. As the trial unfolds, the issues of God versus evolution surface as Nicholas tries to depict Miller as a religious fanatic. Joining the legal team is the mysterious Jonathan Steel in the capacity of lead investigator. Can Ruth find the real killer before Miller is convicted of first degree murder? Can she resolve her own confusion about the existence of God? I wrote the book to give Jonathan Steel a minor role in hopes that readers who like legal thrillers might read the book and then want to learn more about Steel in my “Chronicles of Jonathan Steel” series. So, keep in touch. I hope both books will be available by late summer, early fall. Thank you again for your support.